NABS is an activity of Wesley Mission Queensland (WMQ). WMQ expects high levels of professionalism and expertise from its staff. The provision of high quality services to clients requires all individuals to align their behaviour with the values of WMQ and other relevant Code of Ethics. WMQ staff are expected to lead by example in the manner in which they relate to clients, co-workers and the general community. 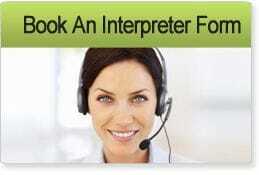 All NABS Interpreters must agree to and follow the guidelines set out in the Conditions of Employment. To view NABS Conditions of Engagement, please visit Wesley Life Online. For questions relating to Wesley Life Online, please contact Wesley Mission Queensland (WMQ) directly, not NABS.